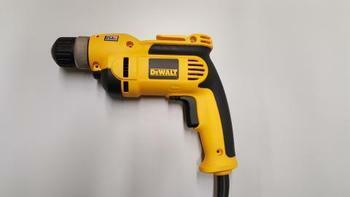 DEWALT Industrial Tool Company of Towson, Md., is recalling about 130,000 DWD110 and DWD112 drills sold in the U.S. and Canada. This recall involves the D e WALT DWD110 and DWD112 3/8-inch variable speed reversing drills. Only drills with date codes 2017-37-FY through 2018-22-FY are affected. If the drill is marked with an “X” after the date code it has already been inspected and is not affected. The drills, manufactured in the U.S., were sold at The Home Depot, Lowe’s and other hardware stores nationwide, and online at Amazon.com and other online retailers, from September 2017, through November 2018, for between $60 and $70. Consumers may contact DeWALT toll-free at (855) 752-5259 from 8 a.m. to 5 p.m. (ET) Monday through Friday, by email at recall@sbdinc.com or online at www.dewalt.com and click on Service and Support at the top of the page then Safety Recall Notice for more information.